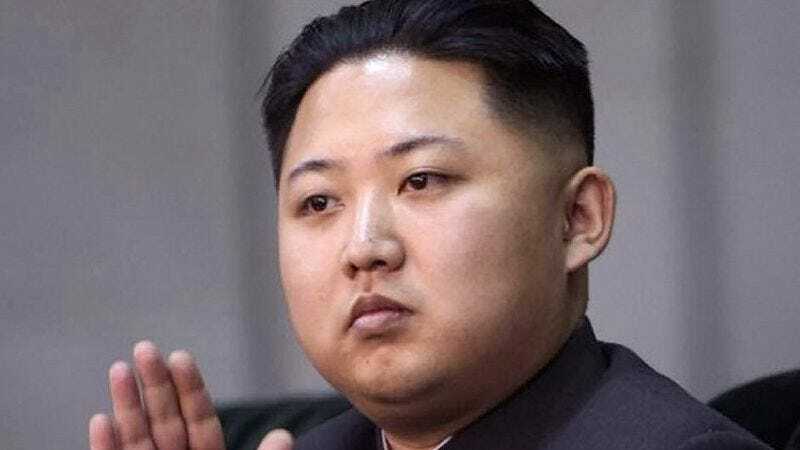 PYONGYANG—Following reports that the head-of-state is receiving treatment for a variety of medical conditions, an Amnesty International report released Monday confirmed that the diabetic and gout-ridden dictator Kim Jong-un is still by far the healthiest individual in North Korea. “With high levels of uric acid in his bloodstream causing painful swelling in his lower joints and pancreatic failure resulting in extreme soreness and fatigue, Kim Jong-un is currently the picture of strength and wellness in his country,” said the report’s author, Dr. Philip Gilliam, adding that not one of North Korea’s nearly 25 million citizens could even fathom a life in which they only suffered from high blood pressure, night sweats, and an arthritic limp. “As a man living with the effects of severe weight gain and heavy alcohol consumption, he ranks first among his citizens in nearly every measurable standard of health and fitness. In fact, should his diabetes worsen and lead to reduced vision, impaired hearing, or even nerve damage, Kim Jong-un would almost certainly continue to remain in the top percentile of the nation’s healthiest individuals.” Gilliam confirmed that Kim’s life expectancy of 69 is remarkable for the hermetic nation, though he added that most North Koreans are deeply thankful they will never live that long.